Welcome to Shelter Realty Limited, the Harcourts franchisee for New Lynn, Avondale, Te Atatu South and Blockhouse Bay and also very active throughout Greater Auckland. Our large multi-cultural team offers a full range of real estate services, including Sales and Property Management across both the Residential and Commercial Sectors of the market. A particular focus is our well-appointed Auction Room, from where we run in-rooms auctions at convenient times and with plenty of parking just outside the door. We are backed by the Harcourts Brand, New Zealand’s Largest Real Estate Organisation, Voted ‘Most Trusted Real Estate Brand’ by Readers Digest for the last 4 years in a row. Do take the time to contact us for an obligation free chat about how we can best provide a solution to your real estate needs! With over 22 years in Real Estate and a track record of substantial success, Donna’s wealth of experience in selling and negotiation, gives her team a “definite cutting edge”. Adding this experience as s backdrop to an exceptionally outstanding and experienced sales team. Donna is constantly delighted by the repeat and referral business that continues to come through the Blockhouse Bay office. She believes that an experienced and dedicated team, committed to total professionalism, is paramount when selling what is, for most people their largest and treasured asset. Donna is always on call to assist you with negotiations and to provide whatever help she can, to obtain the best price for your home. 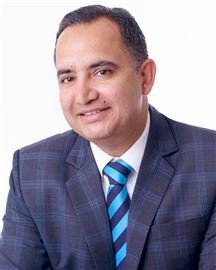 I have lived in New Zealand since 2000 and have resided in New Lynn for a number of years, gaining an extensive knowledge of the community and property market around the area. Through my work experience I have developed strong customer service and marketing skills and am a good negotiator. Other skills include fluency in both Mandarin and English, as well as good ability with computers and business presentations. I am highly motivated with a bright personality that enables me to relate well to people from all walks of life and professional backgrounds. If you would like to engage the services of a professional and ethical real estate professional, backed by the trusted Harcourts brand and infrastructure, CALL ME NOW! Helen is passionate in all aspects of real estate and knows that for her clients, being involved in real estate becomes a very personal matter. It is about their choice of home, lifestyle, and finding that unique, sought after place in this present world. Helen understands it can prove a little stressful for both buyers and sellers. That’s why she is here for you to help ease the pressure and have some fun along the way. Helen's personal goal and promise to you is to go above and beyond normal expectations, to give you her best always as you are on this journey together. "Together we can make this exciting, enjoyable and fulfilling experience. I place a high value on personal integrity, honesty, and the confidences you place in me. Satisfied clients are my best recommendation!" Ivy Fernandez has been a face for Harcourts for most of her real estate career. Now part of the fast-developing Blockhouse Bay team, Ivy brings to the game her own brand of professionalism and positivity. With a long and successful career in Insurance of over 20 years, Ivy hopes to bring the same core values that led to that success to you. She values honesty and transparency. A complete straight-shooter, Ivy is enthusiastic, committed and completely customer focused. Ivy's humour and her ability to think laterally has ensured success in projects where others have given up. Plus, you'll ever have a dull moment working with Ivy! So for exceptional service, respect, and confidentiality feel free to contact Ivy and discuss your Real Estate needs at anytime. Recommendations “Our agent was extremely pro-active and even though she had other clients, she made us feel we were her main priority. Especially on Auction day” - Joanne Frith “The agent I have been seeing has been fantastic!” - Sharon Woodgate “Special thanks to Susanna for the sale of our property. It’s been great getting to know you and all the best for the future!” – Maurice, Neville, Sharon & Julie. 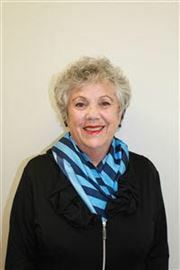 “It is our pleasure to recommend Susanna Novy a zealous and diligent real estate agent. We found Susanna to be a highly attentive agent and offers a high level of service, she always makes us special customer although we know she treat us all customer the same. We never felt neglected or unimportant. She is also highly personable with an engaging personality. A specialist in marketing and graphic design, Susanna came up with an excellent marketing plan and made use of the relevant search engines and real estate adverts that resulted for our home to stand out from the crowd of homes for sale. We are pleased to recommend Susanna Novy to anyone looking to sell a home. 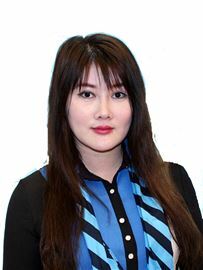 She is the best in the business in our opinion and very happy to work with her again.” – Jerus & Michelle Joaquin Your Ultimate Real Estate Professional Born in Guangzhou, China, educated and running her own professional Graphic Design, Advertising, and Marketing company in Fiji for over 10 years. Susanna is able to connect and communicate with a variety of people from many different backgrounds. 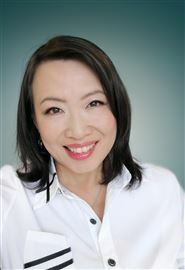 Fluent in Mandarin, Cantonese, and English, Susanna is proficient at translating and negotiating between multicultural groups both in business and social settings. Customer-centric services, attention to detail and optimum outcomes is her passion. Helping people to look after their most valuable assets - "it's my desire to treat it with the highest level of "it's my desire to treat it with the highest level of integrity and professionalism. There is no compromise for me when it comes to selling integrity and professionalism. There is no compromise for me when it comes to selling your property. The job will be handled with the highest level of confidentiality and your property. The job will be handled with the highest level of confidentiality and the minimum level of stress." minimum level of stress." Susanna brings to your Real Estate experience the same commitment, dedication, passion, and attention to detail that was required in her successful fine arts and graphic design career. Building and managing her own company has given Susanna the sales and marketing skills required to have an excellent understanding and extensive knowledge to apply to the local property market.